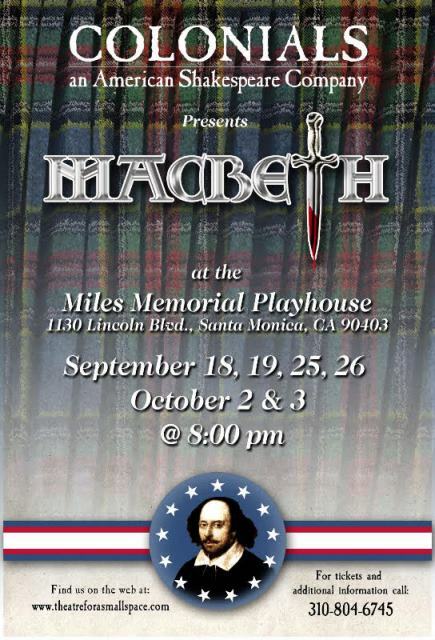 Colonials presents Shakespeare’s dark tragedy Macbeth at the Miles Memorial Playhouse, 1130 Lincoln Blvd, Santa Monica. Call (310) 804-6745 for reservations. For more information go to www.theatreforasmallspace.com.